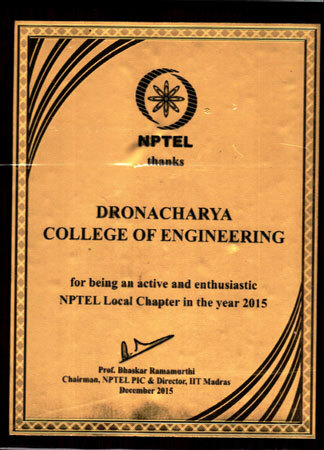 IIT Madras organized a Felicitation Event for NPTEL Local Chapters on 19th December 2015 at Central Lecture Theatre (CLT), IIT Madras. Originally scheduled for 5th December 2015, the event had to be rescheduled due to incessant rain and flood which devastated many parts of Tamil Nadu including Chennai. 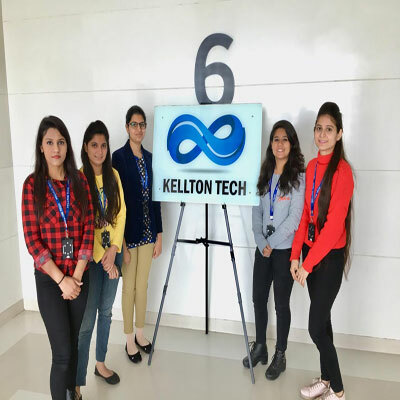 Ms. Dipti Girdhar and Ms. Ashu Khurana both Mentors SPOC – NPTEL Local Chapter, represented Dronacharya College of Engineering, Gurgaon at the event. 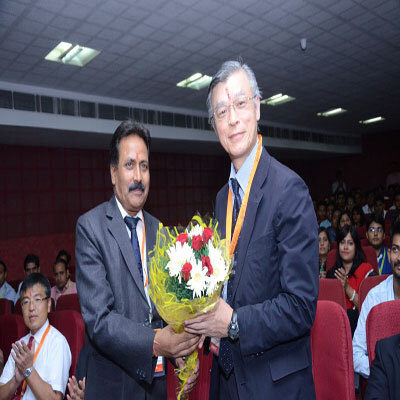 Addressing the inaugural Ceremony, Ms.Kamala, Facilitator-NPTEL IITM welcomed all the guest who had gathered there. 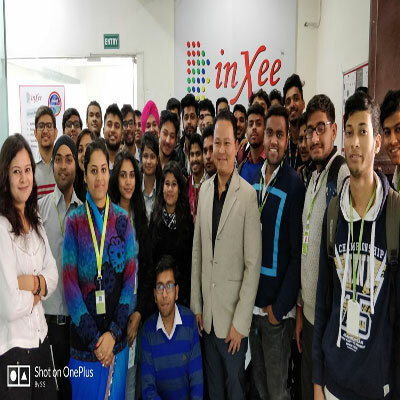 She thanked them and appreciated their concern for NPTEL by making themselves available for the event even though it was rescheduled. 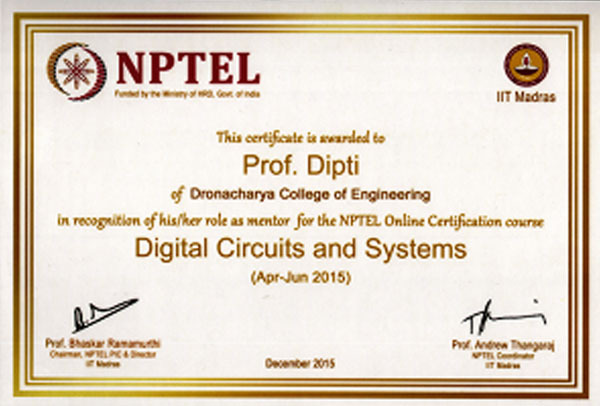 Prof. Andrew Thangaraj, Coordinator-NPTEL IITM, gave a glimpse of how NPTEL has progressed in the last three years. He said that Local Chapters have a great role to play in creating an awareness amongst the students and the staff members of every college. 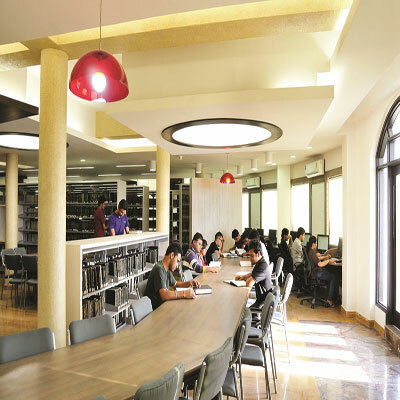 He said that though 45 courses are available for enrolment for the January 2016 session, the number may go up as IIT Kharagpur and IIT Kanpur may be adding courses to the existing list. 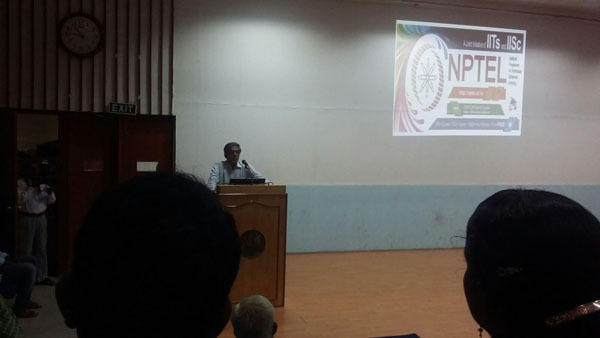 Guest of Honour, Prof. M. S. Ananth (IITM) thanked the Principals/SPOCs and Mentors for their valuable role in NPTELcourses. 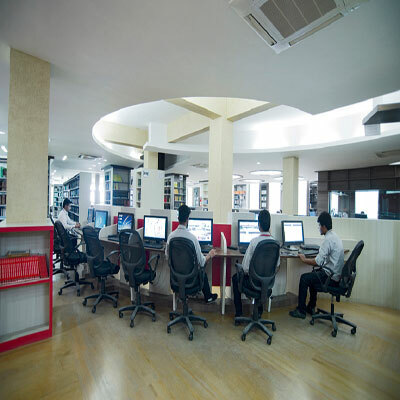 He said that the NPTEL courses are not limited to any particular branch or year of study. It is available for any person worldwide who is interested in studying. He cited a very good example. He said that once on a visit to an NPTEL Exam center, he came to know that IG-CRPF was taking the exam. After the exams, he met the IG and wanted to know what made him take the exam. IG said that when he came to know about the Information Security course being provided through NPTEL, he enrolled and followed it. After completion of the course he was very much motivated with the quality and content of the course. He than took it as a challenge for himself to take the certification exam. 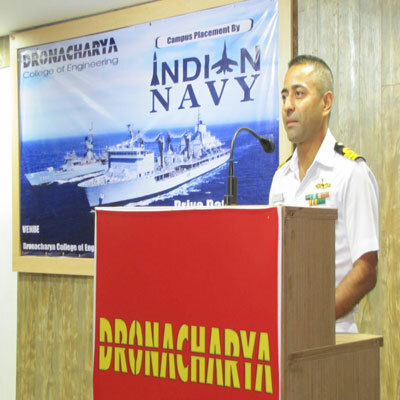 Prof. Ananth said that later he came to know that the IG successfully completed the certification. 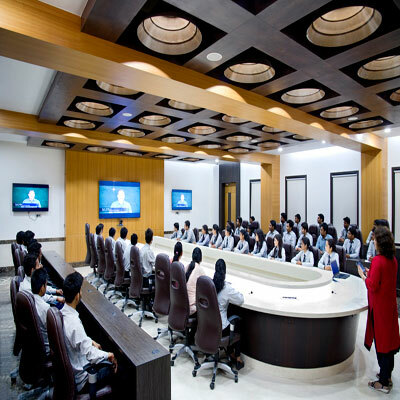 Speaking on the occasion, Prof. Bhaskar Ramamurthy, Chairman-NPTEL & Director-IITM, said that the number of people enrolling for a course is much more than those talking the certification exams. Though many are not taking the exams, but he felt satisfied that people are following the courses. 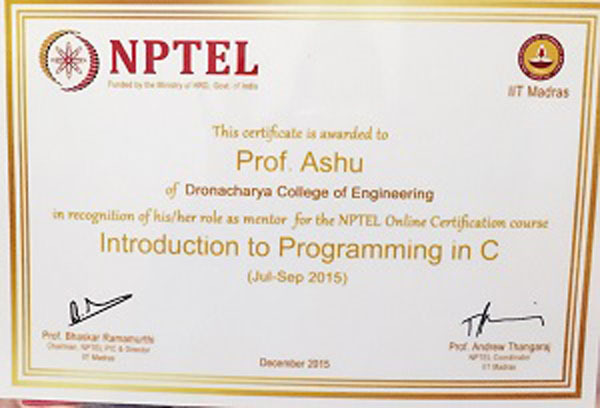 He said that learning is the primary objective of NPTEL. It is an added advantage to the candidates if they take the certification exam after the course. 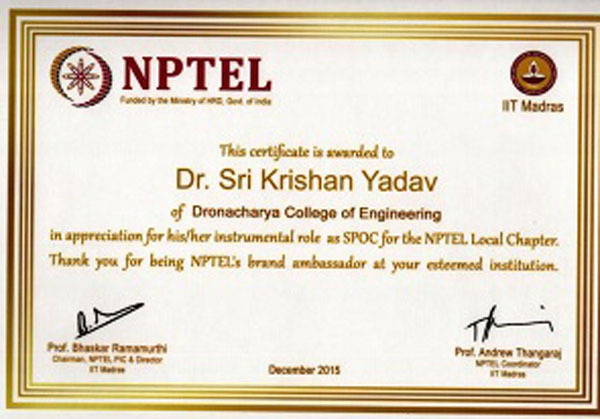 He said that NPTEL today is at par with any global MOOC. These lectures are being prepared by some of the best brains in the country. 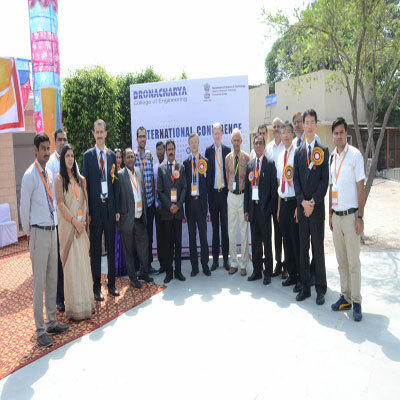 He appreciated the effort of companies like ARICENT which have come forward through their CSR to help the mission. 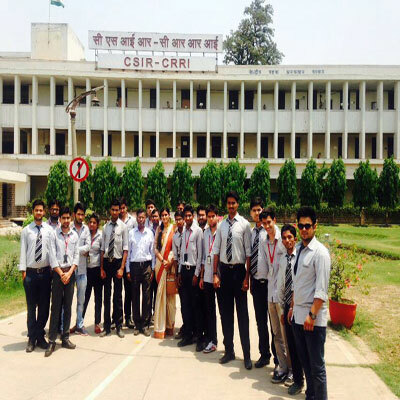 It has helped NPTEL to provide scholarships to the SC/ST students. 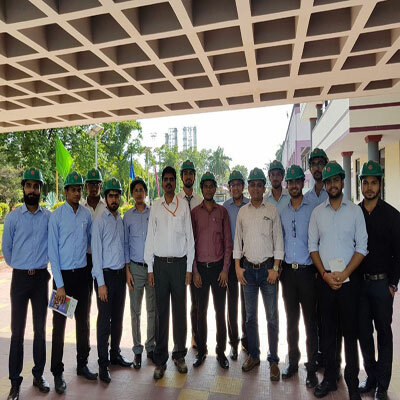 During the feedback session, several IIT faculty including Prof. Prathap Haridoss, Prof.Nandan Sundaram, Prof.Niket, Prof.Deepak Himani, Prof.Rajesh Kumar, Prof.Arun T and Prof.Gaurav Raina, who had conducted the NPTEL courses shared their experiences. They also gave an update on their upcoming courses to be offered in January 2016. Prof. Andrew Thangaraj then invited the SPOCs and Mentors to share their experiences. 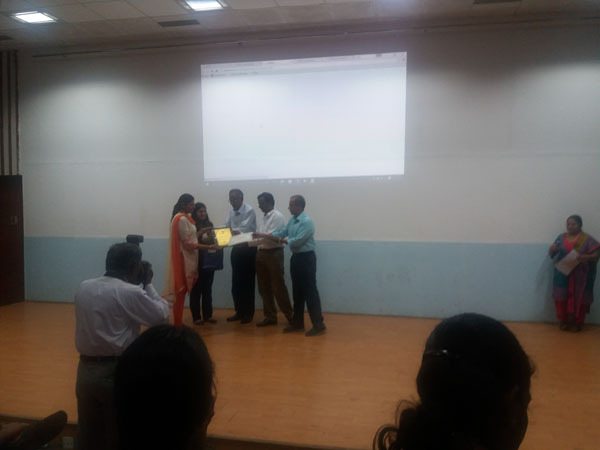 Besides the noble job being done by IIT faculty, they all appreciated the marvelous efforts being put in by NPTEL back-end team including Ms.Kamala, Ms.Bharathi, Ms.Gayathri and Ms. Krishnaveni. 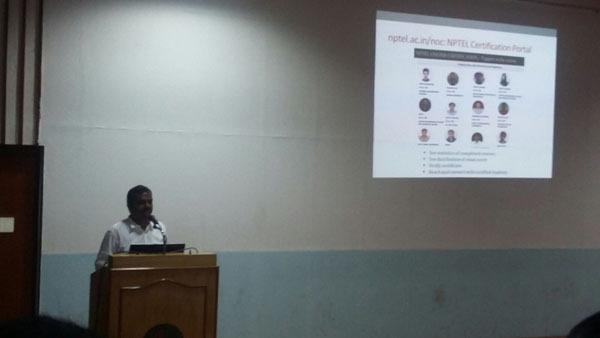 Prof. Andrew Thangaraj and Prof. Prathap Haridoss introduced the NPTEL team members who contribute in making these massive online courses successful throughout the country. 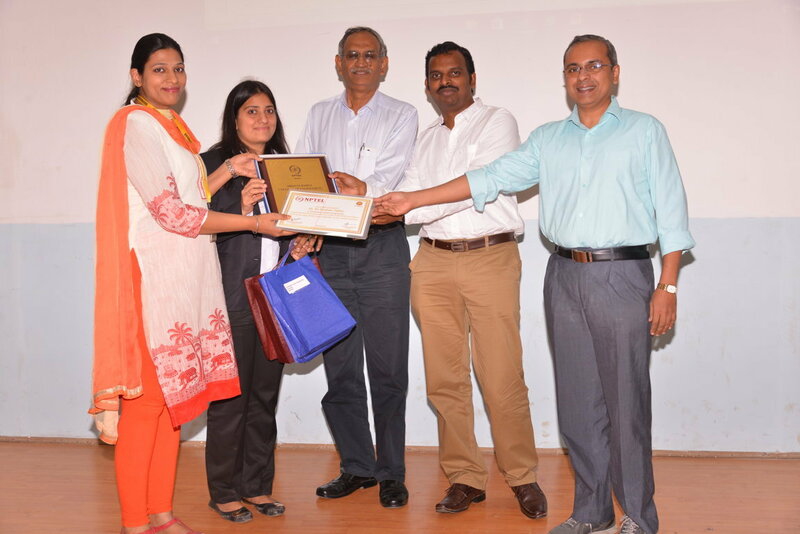 The session ended with felicitation of NPTEL Local Chapters and their SPOCs and Mentors.